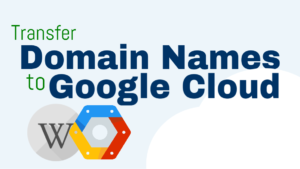 In this tutorial you will learn how to install WordPress on Google Cloud using the Bitnami version of WordPress on Google Cloud. Choose the Bitnami version of WordPress. Fill out the fields in order to choose your WordPress installation settings. The settings shown above are optimal for a small WordPress website or blog, however, the zone you select should represent where most of your website traffic will be concentrated. Copy your user name and password from the installation page, and click on the link to access your WordPress admin panel. 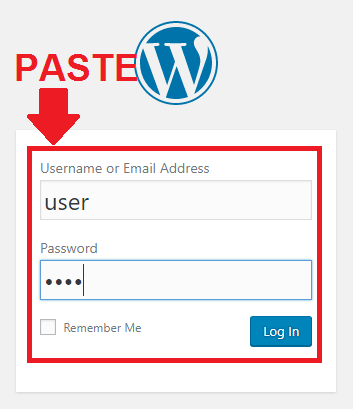 Paste your username and password then click the Log In button to access your WordPress dashboard. In the video tutorial starting at 2:54, for disk type you said to select Solid State Drive because it’s faster than Standard Persistent Disk, but you clicked Standard Persistent Disk. So should it be SSD Persistent Disk or Standard Persistent Disk? Thanks. SSD will perform much better than HDD, but is also around 3-5 times more expensive. Tengo una duda es el acceso a phpMyAdmin con las instancias WordPress de pila bitnami, que no doy accedido por el tunel SSH. Llego a configurar todo bien siguiendo los tutoriales de bitnami y acedo a la consola bitnami pero cuando acedo con http://127.0.0.1:8888/phpmyadmin . me da error. Ahora no tengo la conexión echa. 2º sobre la conexión de una instancia de WordPress con un cloud SQL este muy interesante para gestionar escalar el sistema automáticamente según crezca. Este ultimo lo hice con WordPress Google click y perfecto pero con Bitnami no doy conectado la base de datos y lo deje de esperimentar. Saludos y gracias por estos tutoriales tan buenos. If you’re using SSL with your website, you will have to access phpmyadmin via port 443 instead of 80, as there is an http-to-https redirect configured in your bitnami.conf file. Check out the comments of the SSH Tunnel tutorial, such as this comment by Georgi, for instructions on how to connect to an instance with SSL configured. There are also instructions on how to carryout the process for Mac users, also in the comments section. i was able to see that there is wordpress bitnami with NGINX (aside from Apache2). Is it possible to configure NGINX for frontend while APACHE for backend under bitnami (Debian OS)? Yes it’s possible. Do a Google search on the subject, there are many tutorials available. Here’s one to get you started. This was working great until I tried to install and use W3 Total Cache then nothing but problems. I tired to use Bitnami’s guide regarding this and it did not help. I uninstalled W3 and removed all mention of it everywhere. Then tried to use Bitnami’s guide to set up memcache and that too did not work. They say to use yum to update and yum is not recognized. Virtually every instruction I follow in their guide does not work for this installation. How outdated is their guide? I wouldn’t recommend using W3 with the Bitnami stack. The stack is already optimized with mod_pagespeed, so many of the components in W3 are therefor redundant. Try going with a more lightweight solution such as WP Fastest Cache. Thank you. I am finding that WP Fastest Cache is working but smoother. Now I have another puzzle. I changed the server time because some ThriveThemes Contact Form emails were time stamping 7 hours ahead of time zone that I had in WP General Settings. I looked everything in the ThriveThemes settings and PostSMTP settings to see if there was another place that I had to set the time zone, but nothing. So I contacted ThriveThemes and they say that the form uses the default mail time zone. I’m using Google Cloud and an Iowa server. I am in Los Angeles and Iowa is 2 hours ahead so it wasn’t picking up that. I checked the server date via SSH and it was 7 hours ahead and set to UTC. So I changed it to the Los Angeles time zone but it is still time stamping the emails wrong. ThriveThemes suggested clearing cache after the time zone change on the server. I cleared it via the WP Fastest Cache plugin. Is there another cache that needs clearing to deal with this? I’m glad to hear that WP Fastest Cache is working for you! I’m not sure where the time stamp originates – you could try changing the time on your machine based on these instructions and see if that fixes it. Also, I don’t think this issue is related to your cache, and it’s also possible that the default time zone is defined somewhere in your PHP configuration. You can learn more about setting time in PHP here and here. If the contact form is build in to Thrive Themes, the I would try to get in touch with someone on their developer team and see how you can change the setting. It sounds like the agent you talked to was just general ‘tier 1’ support. Thrive Themes told me it was a bug and they are fixing it. Thank you for your help. I’m glad to hear they are fixing the bug. Thanks for letting me know! Your tutorials and blogs are really helpful. When I log out, a long error message appears. This is some cookie error. Can you please help me. And where are you seeing the contents of the screenshot? Is it immediately after you log out of your WordPress? Can you still access your dashboard? Your tuts are second to none! Kudos to you brother! IMHO it would be great to see a tut on Bitnami WordPress With NGINX And SSL. Alot of WP devs prefer it over apache. Thanks for everything you’ve done here! It does seem like most developers prefer Nginx over Apache, and this is definitely a tutorial that I will look into. Thanks for reaching out and I hope to hear from you again soon! can i install Bitnami on google app engine? I don’t believe Bitnami offers a pre-configured ‘solution’ for WordPress on App Engine. This means that you would most likely have to deploy it manually. That being said, check out this tutorial. It also looks like there is a WordPress plugin that helps with the App Engine configuration (Google App Engine for WordPress). Great guide. I learned a lot. Please, how to setup and install WordPress multisite BUT using a subdirectory (not a subdomain)? I tried to follow the normal steps I used to do, but here in GCP, it didn’t work. I also tried to install the multisite module, but it installed directly the subdomain option, but I need the subdirectory. So you want to have an installation at http://www.example.com and another installation at http://www.example.com/website2 ? Please give me more details about what you’re trying to achieve and I will see how I can help. Yes that is what I’m trying to do. I what to use WordPress multisite with subdirectory like example.com and example.com/website2 and example.com/website3 etc. You will have to check some online resources, specifically the WordPress multisite documentation and the Bitnami WordPress multiside documentation. Unfortunately, I don’t have a tutorial that addresses the specific use case that you’re describing, as most users opt to either use sub-domains or separate domains for their multisite configuration. I manage to install WP in GCloud. However when i tried to access the wp-admin url, from another computer, It always fails and take me back to the main wordpress page. What do you mean by “the main WordPress page”? Are you referring to your website’s home page, or another weird looking page that isn’t part of your website? even when i copy paste the wp-admin url. Strange.. do we need SSH even to access the wp-admin url ? just like accesing phpMyadmin? It sounds like there is an underlying issue with your IP/redirect configuration, because you don’t need SSH to access wp-admin. First of all, try accessing the site using a different browser and see it it works. Next, make sure your IP address is showing up as your WordPress URL in your WordPress settings. Next, make sure there isn’t a redirect configured in your wordpress.conf file – it would only be there if you created one. I solved the issue by installing WordPress in Bitnami website launcher. 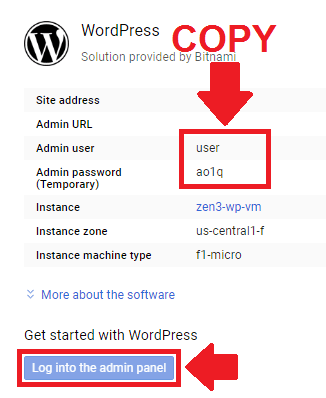 Installing WordPress bitnami from cloud launcher makes the wp-admin not accessible from other computer.. I don’t know why. I’ve never launched a website through Bitnami’s website launcher. 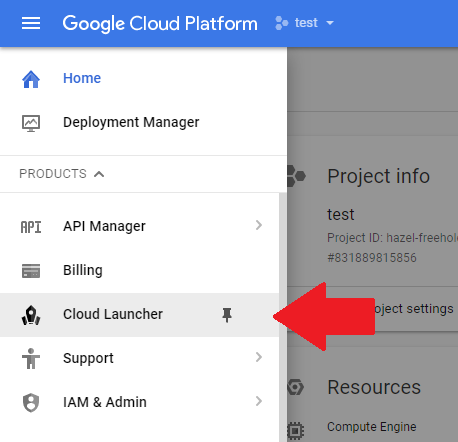 Is it still hosted on Google Cloud? Do you have to pay a usage fee to Bitnami? Next week, I plan to get started installing a Moodle instance on the GCP (Bitnami) and just wanted to see whether you had any other Bitnami specific videos I should watch again in preparation? But if there were others that you took down from your sit but are still available to watch I would be much appreciative if you would share. I know they will relate to WordPress but that would still be useful. You will need the FTP tutorial, the SSH Tunnel Tutorial, and possible one of the SSL tutorials. In my experience, Bitnami’s stacks follow a relatively uniform architecture, meaning that some of the Bitnami GCP tutorials that I published will also be applicable to configuring the Moodle stack. You should use this guide for configuring the majority of the project. How to setup Wp Rocket plugin in WordPress (google compute bitnami) and enable leverage caching. Wp rocket & cache expiry not working in Bitnami wordpress please suggest. thanks for the tutorial has been of great help. 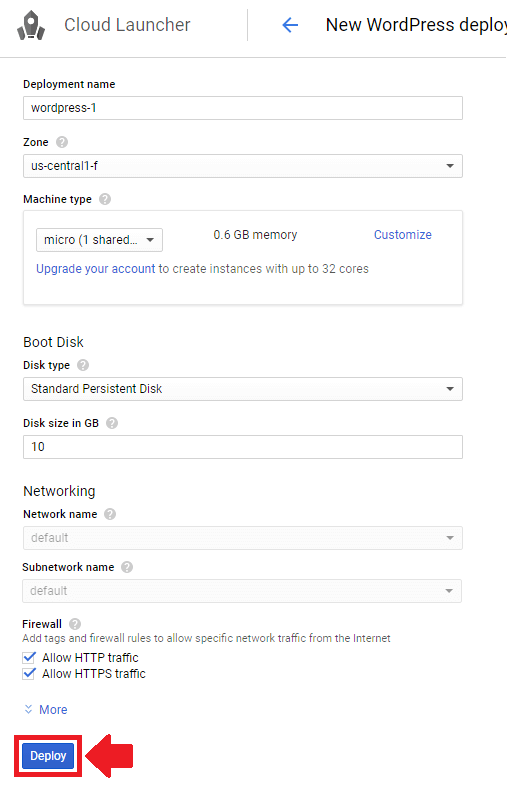 i am having issues trying to configure google cloud platform to work on wordpress multisite could you please do a video on this. Yes – I will do a video tutorial on Multisite configuration in the future! Thanks for posting this suggestion. What domain registrar & website unlimited hosting do you recommend? I use NameCheap for my domain registrar. As far as “unlimited hosting providers” – they are pretty much all the same. I’ve used BlueHost in the past because it was the cheapest (3 years for $79), and it worked out well. Hope this helps! how to change the temporary user name and temporary pass word after the installation of wordpress for the first time ? The instructions for changing the temporary password are on the installation page that lists the temporary password (towards the middle). Great guide. The website hosted are great and loads very quick. Thanks for commenting. I am glad you liked the tutorial! Great tutorial! thanks! Do you think that Google Cloud is better option for a Woocommerce than other hosting provider like Hostgator …. ? I am looking for great speed and performance . I would absolutely recommend using a cloud platform over a host like HostGator. You will get way better performance and absolute control over your website project, for essentially the same price. The reason why most people shy away from using cloud platforms is because, when you’re starting out, it’s easy to screw up your website if you don’t know what you’re doing. I can’t say Google Cloud is the best cloud platform out there, seeing as I don’t have as much experience with Azure or AWS, however, I’m sure they’re both great! Let me know if you ever have questions and I will be happy to help you! Please post your questions and comments below!